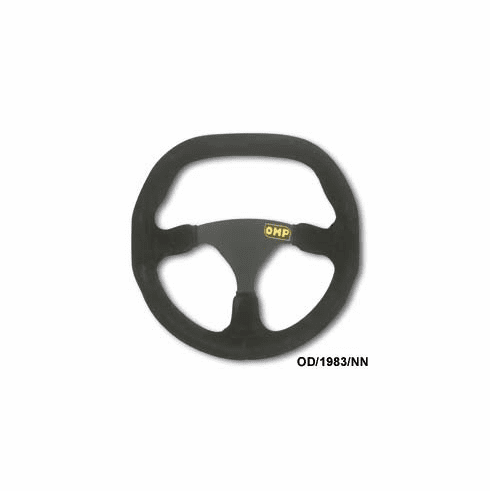 OMP flat steering wheel in suede leather with three uncovered black anodized spokes. Available in black suede only. Diameter: 275mm, Grip: oval 30x26mm.